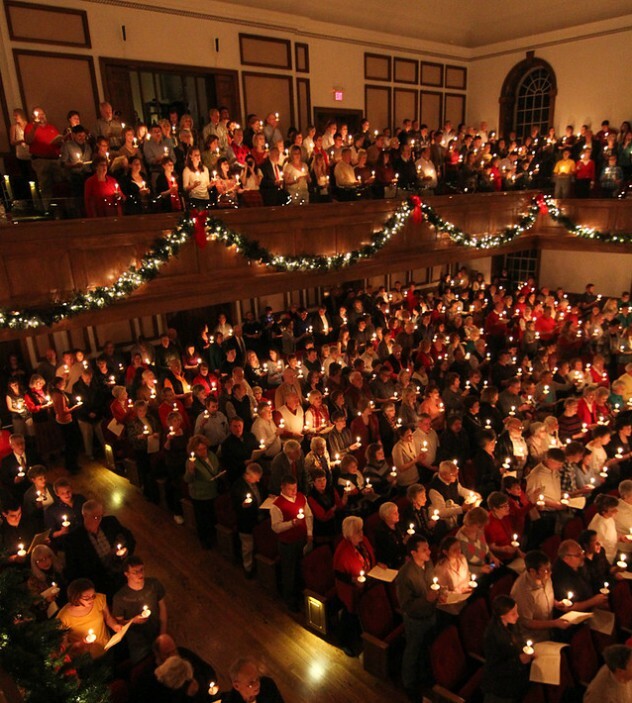 MILLIGAN COLLEGE, Tenn. (Nov. 14, 2018)—Audiences can experience the glorious sights and sounds of the season at Milligan’s annual Christmas concert on Saturday, Dec. 1, and Sunday, Dec. 2. The performances are free and open to the public. On both nights, Milligan’s area of music will perform at 7:30 p.m. in the college’s Mary B. Martin Auditorium located in Seeger Chapel. Doors will open at 6:30 p.m.
“The annual Christmas concert allows Milligan music students and faculty to give the gift of wonderful music in a beautiful setting to the community,” said Dr. Kellie Brown, professor of music and area chair. The concert will feature choirs, orchestra, brass choir and the organ, as well as a carol sing-along. An offering with a suggested donation of $5 will be taken to benefit the college’s area of music. Posted by aegreer on November 14, 2018.